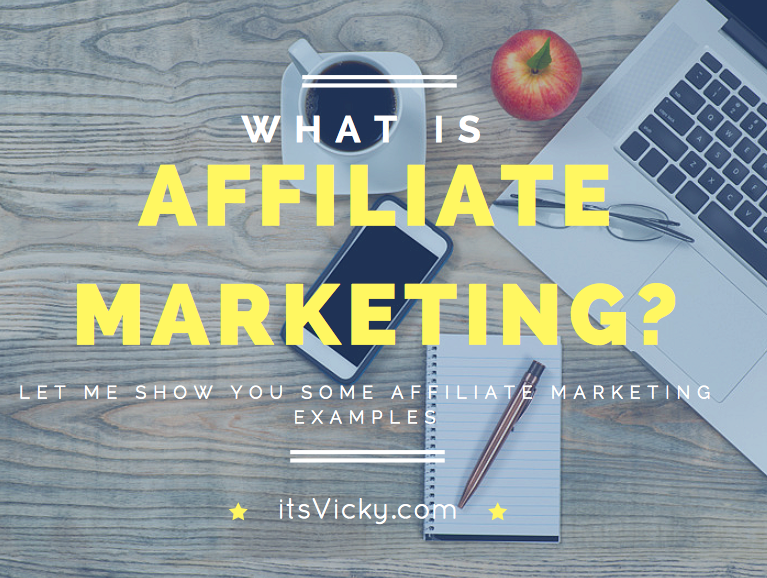 When trying to explain what I do, I often run into the question… What is affiliate marketing? In this post, we will go through what it is but I will also give you a few examples of affiliate marketing companies that you can work with. 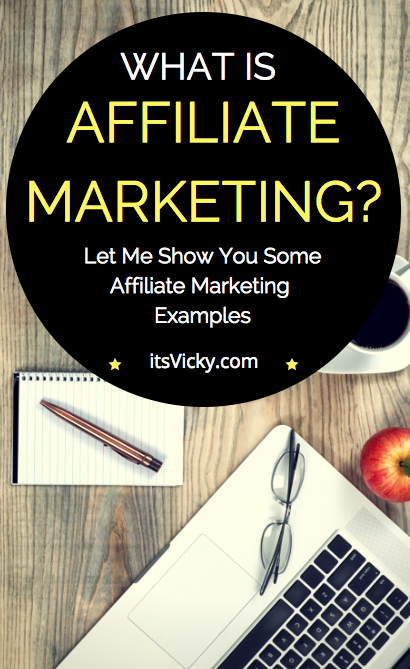 These can come in very handy if you decide that affiliate marketing is something you would like to do. Have you ever, recommended a product, restaurant, movie or funny clip on YouTube? Most of us do this on a regular basis. “-Did you see the new Star Wars movie? I might go see it next Saturday. We make suggestions or recommendations to our family and friends all the time. With affiliate marketing you do the same thing, you recommend things, the beauty of it is that you also get paid for it. You help people online find what they are looking for, no need to get your family or friends involved unless you want to of course. You decide to set up a blog/website about BBQ grilling. 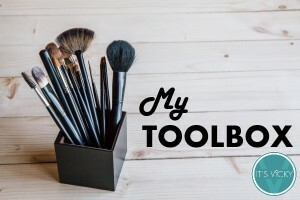 You share recipes, you share tips and ideas, you even review your favorite tools and grills to use. You build a really helpful blog for people interested in BBQ grilling. “Bob”, is gearing up for the summer, he goes online searching for “the best gas grill”. He needs a new grill and is looking for ideas, opinions, and reviews online. When Bob types in “the best gas grill” into Google one of your posts that you have written reviewing the gas grill that you use pop up. Since you used an appealing headline Bob clicks on your post title in Google and that takes him to your site. Bob reads through the “best gas grill” review and really like the grill that you recommend. In fact, you did such a great job explaining the pros and cons of this grill that Bob is ready to place an order. So Bob, clicks your affiliate link, that you have added to your review and that takes him to Amazon. Since Amazon is a safe place to purchase and Bob does it all the time, he feels comfortable and safe shopping the grill from them. The grill is actually a Weber grill but they teamed up with Amazon and offer their products not only on their own website but on Amazon as well. Now Bob needs a few other things and places a total order of 5 items including the BBQ grill. Here’s the great part. Since you sent Bob to Amazon through your affiliate link you will earn a commission on not only the BBQ grill but on all 5 items purchased by Bob. 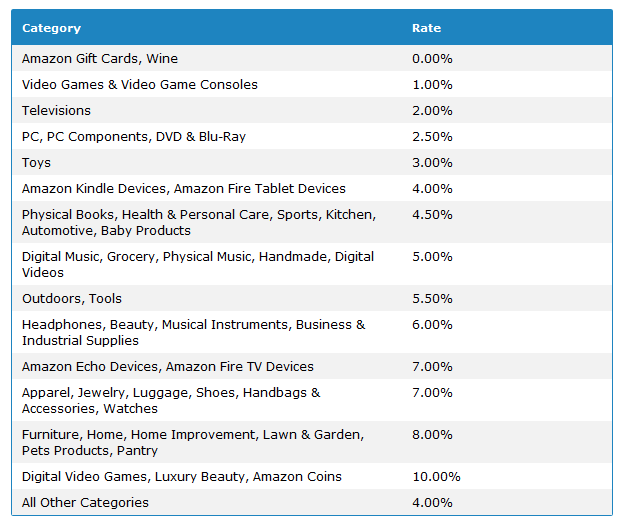 The Amazon commission is based on different categories. If the grill is registered under the “Lawn and Garden” category you will earn 8% commission. If it’s under “Outdoor” you’ll earn 5.5%. It really is a win-win situation. Bob get’s his grill, paying what he normally would, no extra cost for him using your affiliate link. You as an affiliate earn a commission for sending Bob to Amazon. Amazon sells a grill that they might not have sold if it wasn’t for you. Amazon is one of the biggest online retailers and offers pretty much anything and everything under the sun when it comes to products. For many reasons Amazon are great to work with, but they are not the only ones to offer an affiliate program. There are many affiliate networks that you can become a member of, these networks then work with the brands or companies for you to sign up with. Linkshare is an example of such network. Many companies also have their own affiliate programs that you can work with directly. Wealthy Affiliate would be an example of such company. 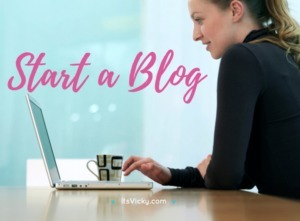 The most important thing is to work with brands and products that are highly relevant to what you are doing, what your blog or website is about. 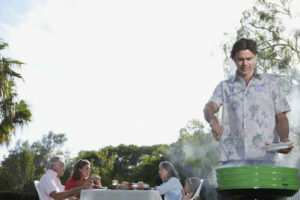 If you have a site about grilling then you could talk about recipes, grills, tools, produce anything related to that. The more focused your site is the more relevant your traffic and visitors will be. To find relevant companies and networks to team up with and work with as an affiliate you can do a Google search. Type in your “niche + affiliate program” and that should bring up some good suggestions for you. Niche just means the topic of your blog. You can also go directly to the big brands in your niche and see if they have an affiliate program. 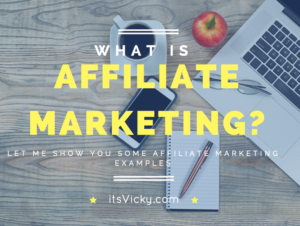 So affiliate marketing sounds like a great way to make some extra money or even a full-time income but is it doable? 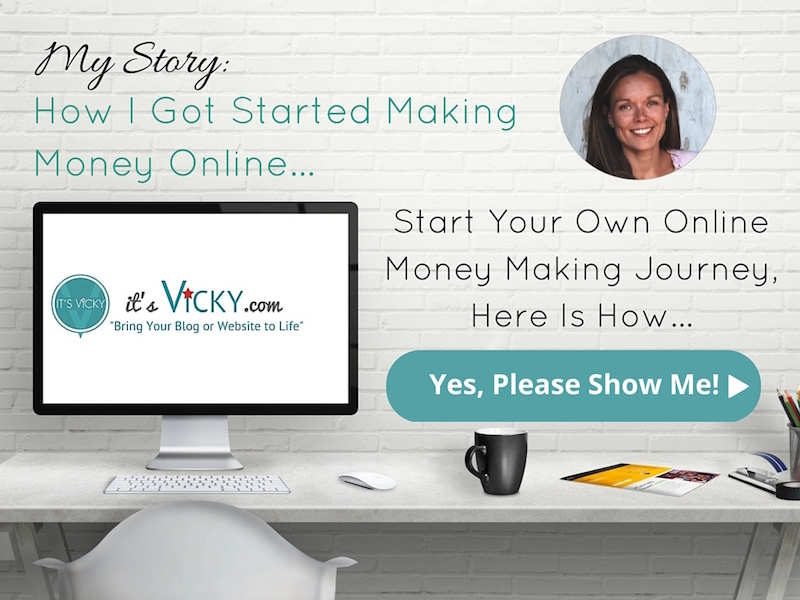 So the big question, can you actually make money doing affiliate marketing and the quick answer is YES. 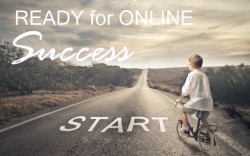 Commitment – if you decide to do affiliate marketing, commit to it, down start and quit after 2 months because you are not making thousands of dollars yet. 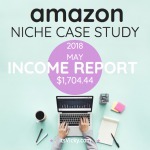 I do a case study on an Amazon site, where I share traffic, rankings, and income numbers on a monthly basis. A lot of stats and information so that you can see what it takes to run a money making affiliate marketing site. You can read the Amazon case study here. 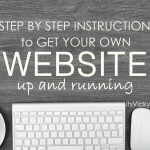 Do You Need a Website or Blog to Do Affiliate Marketing? 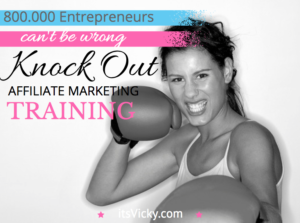 If you are new to the affiliate marketing concept, you’ll need some training to get started. Now, I’m not selling you anything but I will recommend a community, that offers this. 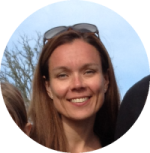 Affiliate marketing training AND a great community. They have a lifetime free starter membership, so I can highly recommend that you take a look at it. I’ve been a member for 9 years and don’t plan on going anywhere… Join me and the community here. You might have questions, and that’s totally ok, I will be happy to answer them in the comment section below. Thanks Vicky, super useful and easy to understand. Thanks for sharing. I’m not quite ready yet, but in research mode. Thanks, Vicky for sharing this info with us. I am also new and going to start affiliate marketing and looking into affiliate marketing tools more deeply and also reading affiliate marketing blogs like above one for encouragement and I guess I am near to take a start soon. Best of luck Alex, let me know if you have any questions.